There is nothing quite as perfect as the contrast between sweet and salty in a dessert. This dessert layers buttery homemade caramel in a chocolate almond crust with a a bittersweet ganache drizzled over the top. The sparse sprinkling of sea salt adds that extra special touch that keeps you coming back for more. 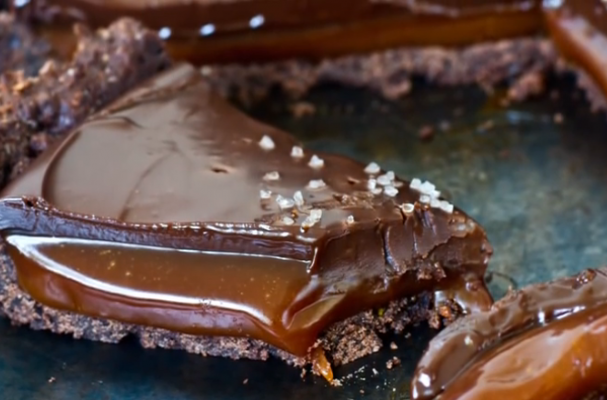 Salted chocolate caramel tart with be this season's go-to treat.